I just finished to code rotating and scaling of entities. Transparency (alpha) is next. Gornova and me are now using github's issues to plan and keep track on our tasks for Marte. Gornova is currently working on the build environment to simplify creation and deployment of a Marte game. I'm really looking forward on improving this game lib - it's not only fun to code stuff for it but it's even more fun to create games with it! Next on my personal "Marte games list" is a scrolling platformer shooter thingy - currently I'm looking for some sprites that can be used freely. If anyone knows some links to some free sprites for a running shooting cool looking guy and some theme fitting enemies and platform tiles - tell me! Holy cow, those Steam guys drive me mad! They started their "games throw away" at Thanksgiving and now do a christmas sale! How is any computer games player supposed to resist? You simply can't! I already bought two of their indie packs during Thanksgiving and now I already had to buy two more games (Super Meat Boy and Lego Batman - yes, I admit it: I love those Lego games and of course the Lego bricks themselves). I created my own branch to not mess up all the other sources of Gornova while getting used to git. I've been working with source code control for over 15 years now but I must admit that git is the most complicated one! The ideas are definitely the most promising ones but the tools are more than lacking and/or the commands are just a tad too complicated. Some simple getting started tutorials for egit (the Eclipse git plugin) would be very helpful like "how do I start my own branch locally and remote" or "how do I merge a given remote branch with a given local branch". The current egit dialogs are definitely too complicated. Nevertheless I started working on improving Marte. I added an alarm system that allows you to add an infinite number of alarms to an entity and deal with them, pause or resume or destroy them. You can use alarms to trigger timed events for your entities. For example you could create an alarm that triggers every 5 update calls and checks some condition or rotates the entity or whatever. But it's still in my development branch so it might change before it goes into our "official" master branch. If all goes well entities will soon learn to rotate, scale or change their alpha value which should help to improve coding games with Marte. [Game Dev] New version of Star Cleaner! Based on the feedback in the Slick forums here I updated my latest game Star Cleaner a bit. Fixed a frame rate issue with the game (yes, I should know, the main method is not called for applets. Sigh.). The dim effect from day to night and night to day is much smoother now. You can also see the light of the stars while the day/night transition happens. Looks great. Double jump only works if you jumped before and not if you simply fall down from a platform. Still those annoying beeps and blips for the sound effects. I cannot use some sounds that I bought years ago because I can't distribute them with the Marte Engine due to copyright issues of course. Any free(!) recommendations where the license of the sounds allows distribution in some open source project? Have a nice play and give some feeback if you want! [Game Dev] Marte and Star Cleaner are go! I merged all my Star Cleaner sources with the current Marte Engine source code and passed the stuff over to Gornova. He spent the last night and committed everything into the github repository! YES! So if you want to take a look at the source code of Star Cleaner jump over to the github repository! Now I'm waiting to get some developer acccess to Marte Engine's repository to commit stuff myself without Gornova having to do all the code merging. I'm also planning to adopt the source code of They Come to the Marte Engine as soon as I go back to work on it again. [Game Dev] Next is Marte! Who's Marte you ask? It's Gornova's game engine based on Slick and Flashpunk that inspired me how to code Star Cleaner. So Gornova and I decided to throw our stuff together and create one library or class collection to simplify game development in Java with Slick (although Slick itself already is pretty easy!). At the end you will get Worlds to populate with clever Entities that can be added or removed from the world, that have a builtin depth ordering, collision detection based on entity types, alarms and more. They can wrap around the world (asteroid clones, here we come!) and more! [Game Dev] Star Cleaner is finished! Yes, it's done! Deploying the game as an applet was unbelievable easy! Thanks to Kappa for his great Slick and Applet tutorial here and to the LWJGL people (I think the applet support is also done by Kappa) for this technology supporting OpenGL in an applet. And of course thanks to Kev for Slick, thanks to Gornova for his Marte Engine ideas. Also another thanks to Noel Berry and his Advanced Platform Engine here. It was very easy to port the main stuff over to Slick. 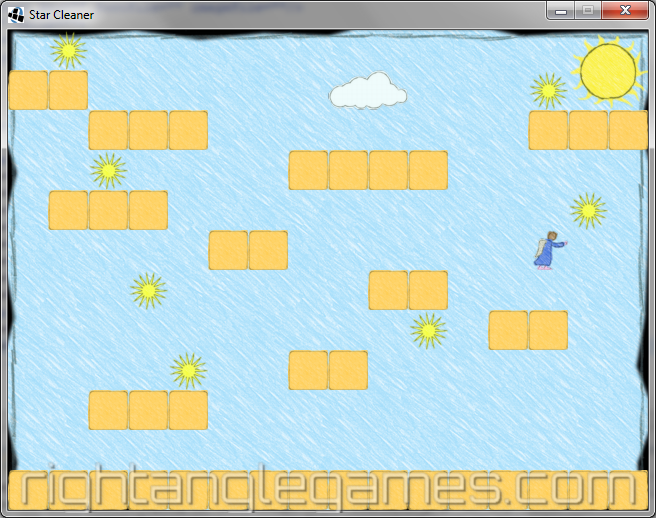 Now jump over to the StarCleaner page and have a play! [Game Dev] Nearly done with Star Cleaner! Anyway, what did I complete? hud for showing score, remaining bonus time and remaining stars is in. Phew, that's quite a bunch! But the core framework based on all these Flashpunk and Marte Engine ideas works pretty well and simplifies stuff a lot. Pretty simple, isn't it? The collision with the Player is a one liner. If all works well that should be doable. 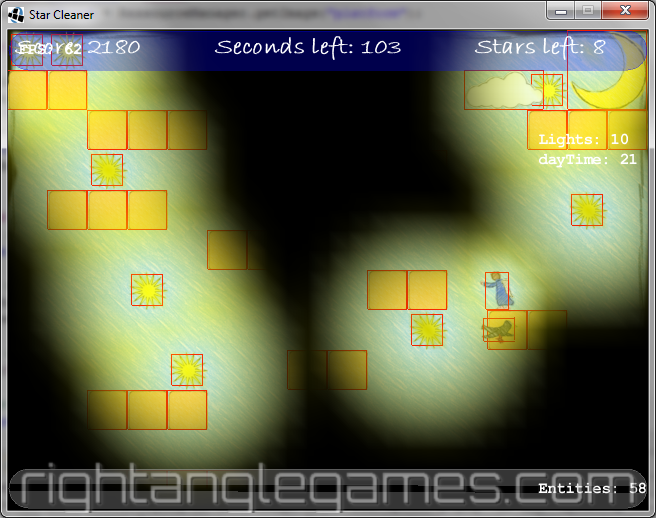 Finally I'll attach a new screenshot of Star Cleaner showing the lighting stuff (still with debug rectangles and such). [Website] Before I forget... welcome to all BlitzBasic coders! And thanks to all you BlitzBasic forum readers for jumping over here and looking at 10 seconds! My usual (slowly growing) number of hits is around 200 to 300 a day. But on Sunday it jumped up to 2800 and yesterday on Monday it reached more than 4500 hits a day! And most of them were coming from http://www.blitzbasic.com. Reason was that matibee, the creator of the mbmFramework, posted an article in the BlitzBasic forums that his great framework is now free to use. And obviously he mentioned my game 10 seconds as an example game including the source code (which is true so jump over to the 10 seconds page and get it!). Unfortunately not yet. Still working on it. Day 4 it is. I got the animations to work, collecting stars is working and some simple blend effect (also an Entity on top of all other entities) at the end of the level is done. And right now I'm working on the light map stuff - just quickly typing these words, waiting for my next cup of tea (2 minutes in hot water) and then it's back to coding. But that's the default behavior of Flashpunk - running with a target frame rate of 60 FPS. So I decided to bite the bullet and finish this game with a given FPS of 60. Luckily this is just a oneliner in Slick. Anyway, time to get my cup of tea and continue coding - as long as I can stay awake (max an hour from now on...). This sunday afternoon I spent three hours "off time" and continued work on my platformer game. I took all my code, removed stuff from Gornova's Marte Engine code (the State and StateManager) and added quite a bit of ActionScript 3 code from Flashpunk's entity code and Noel Berry's Advanced Platform Engine here. All this is nicely controlled by some WorldGameState class that I wrote which allows me to do all of my high level entity stuff in any StateBasedGame inside Slick! What I have got now is a jumping and walking player figure, collisions with solid blocks, gravity, friction and acceleration. Missing is the dealing with proper animations (right now I just show one image for the player) but that's pretty straight forward. I guess I will add some convenience stuff and a new Entity subclass to deal with ParticleEmitters so that I can create an EmitterEntity which renders at any Z or depth value inside my world. So I came up with a game idea and a name for the "Night and Day" competition over at http://www.experimentalgameplay.com. I kind of wasted one evening thinking about using Game Maker for creating my game because I knew that there are tons of platformer and lighting engines available for Game Maker. But I quickly realized that that just wasn't my cup of tea. And just in time Kevin Glass, the master mind behind Slick, came up with a cool solution and even working example code for nice lighting done in Slick! So again Slick is the weapon of choice for this game. Also I wanted to test some applet stuff on my website for a very long time. The "Star Cleaner" game could be a small and fun test game for that. Especially because LWJGL, the underlying OpenGL wrapper of Slick, improved their applet support a lot in their last releases! The rest of the night (and thus my first official working day for the game) was spent with Real-DRAW Pro 5 to create some lousy programmer's art. Playing around with Real-DRAW's different painting styles I decided to go with some "crayon" style. The great thing is that you can apply those styles even after your drawing is done. And it's non destructive so you can try out any other style immediately. Absolutely great! Tonight (second working day) I looked at the Slick Platformer example and at Gornova's Marte Engine and threw some of those classes and code fragments together with my own existing stuff from SpiderTrap and They Come. Just two hours later I have entities with updating and rendering, a level loading class combined with my XML based RessourceLoader class and all nicely integrated with Slick's state based game classes. Here's a first screenshot to the right (just click on it for a bigger image). Do you think the graphics are okay for a seven day overall time competition? It's bed time now, so have a good one too! I'll have to wait until someone (Kevin to the rescue!) shows me how to implement some lighting with Slick...because my game does require lighting given the above theme! [Game Dev] Are you looking for some cool game coding competitions? over at http://www.experimentalgameplay.com you have seven days during September to code an endless game. Yes, you read it right: create a game that never ends, always looks cool and attractive, can be interrupted and continued any time and still should be fun to play 8-). I am looking forward to the end of September to see what game ideas popped up there! Google seems to be interested in Game AI and is doing coding contests in that area: http://ai-contest.com/. This time the task is to create some bot logic to play (and win) a round of Galcon. Galcon was a winning LudumDare entry a few years ago and is now a great single and multiplayer strategy game running on your Windows, Mac or Linux PC or on the IPhone, IPad, Android and several other devices! The great thing is that you can download starter packs with source code to enhance your bot and test it in some "arena". Even better: those starter packs are available in several programming languages like Java, C++, C#, Python and so on! And the compo ends November 27 so there is quite some time to get started and finish your winner bot! I'm pretty sure I won't join any of those competitions but maybe you're in the right mood for a good challenge? Most of the game code of They Come is ported to Java and Slick now. Only minor issues are missing. I will add them when they are required. 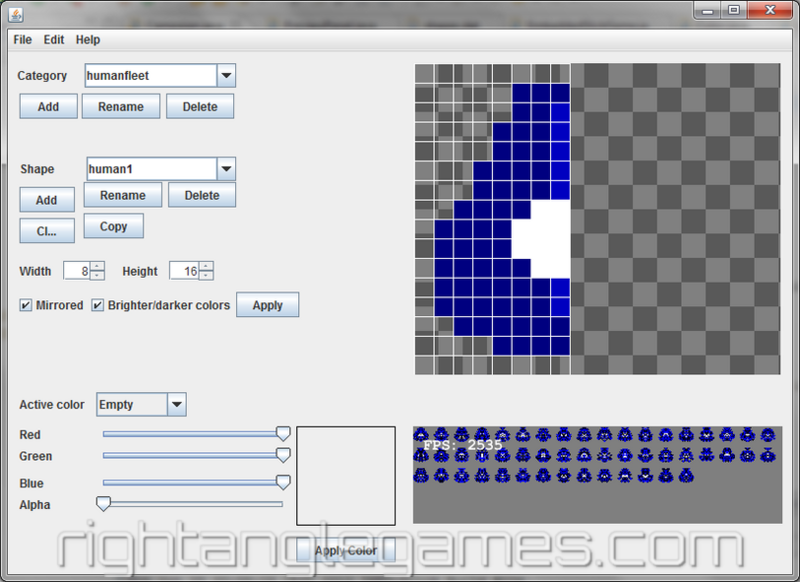 At the moment I'm redoing the shape editor for the game. That's pretty easy with Netbeans. 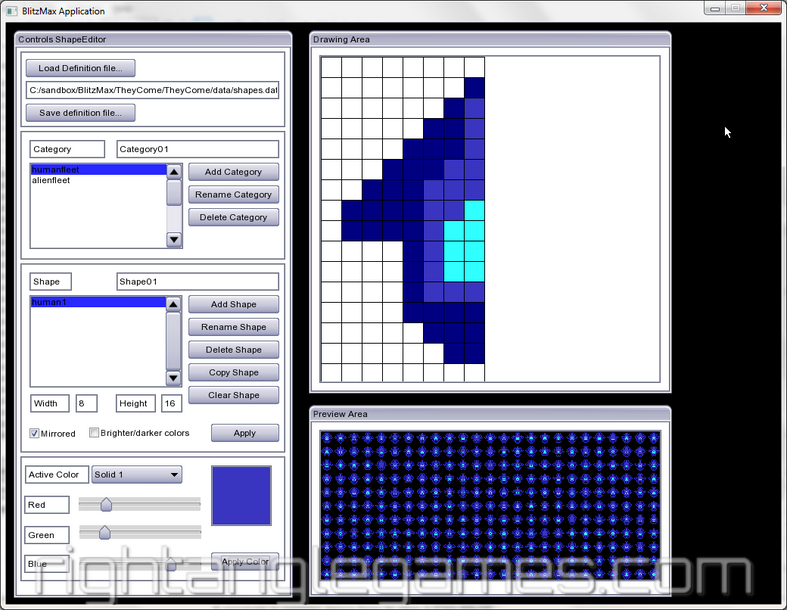 The built in GUI editor (named Matisse) is definitely one of the easiest and most versatile GUI editors I've ever used! It's pretty bad that there is no comparable GUI editor for Eclipse which is still my favorite IDE. All available ones are crap or not free for commercial usage and very expensive. The best implementation seems to be the "remake" of Matisse inside of MyEclipse. But MyEclipse requires an annual fee of 60$ to keep it operational! [Game Dev] GameMaker, Unity, BlitzMax, Slick or Flash or what? So what did I do all the time? I finished viewing and trying the first set of Unity tutorials (using C#) and came to the conclusion that it's a pretty good tool for 3D games. Lately I browsed the Slick forums again and found some interesting and cool games of TheMatrix154. He's using Slick and LWJGL's applet support to present his games running directly on his website without needing to download anything. That got me hooked again. I could create an applet version of They Come and a downloadable Java version of the game for all platforms. And because it's all based on LWJGL it will be OpenGL with hardware acceleration in a web browser! On all important platforms! Finally that gave me a fine reason to have another go at the project with Netbeans which I wanted to try for several months now. This means the game They Come was started with Slick, started again using Game Maker, started again using BlitzMax and now seems to proceed with Slick and Java (again!). I've changed the layout to a fixed width of 1024 and also modified some other settings like colors, horizontal menu (again) and my logo for the side frames. Since several weeks I'm working on a shape editor for my procedurally generated images for They Come. 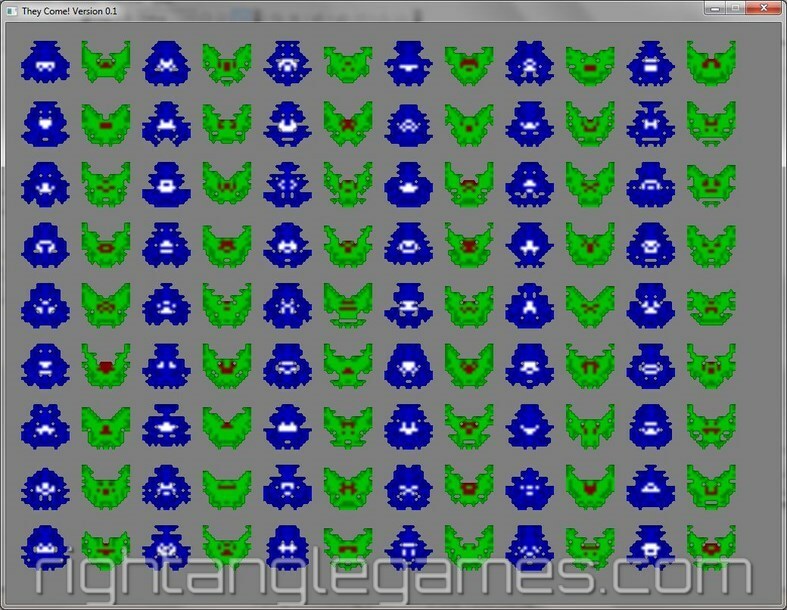 As I already mentioned a few times most of the graphics in the game will be randomly generated based on shapes. The editor will help me to graphically design those shapes instead of manually typing strange characters into a definition file. A first version is nearly done. I can already load a definition file, "paint" a shape on a grid, modify colors, watch some random images in the preview window and save everything back into a definition file. I uploaded a new version of "How long are 10 seconds?" to my site. It contains some small fixes and improvements. You can find all information in the readme.txt contained in the zip file. Mainly code cleanups and simplification - amazing what you can automate with the mbmFramework! For example the animated main menu screen (rotating and scaling the game title) is all done by the configuration file settings and the general framework code - not a single line of code in my mainmenu.bmx file is required to do this! Additionally I tweaked the website layout a bit. And because of a bug in TOWeb (by duplicating topics with comments) I lost Matt's comment for 10 seconds. Sorry Matt :-( Maybe you just add it again or another one. [Game Dev] 10 seconds are over! Or better - the game is done! It's named "How long are 10 seconds?" and is a little game of dexterity. Mainly it was a learning exercise for me to get used to the mbmFramework for BlitzMax. Additionally I got some beginner experience for my new graphics tool Real-DRAW Pro 5. Just download it using the quick link on the right or jump to it's game page 10 seconds. I hope you like the game! Any feedback using the comments is highly appreciated. I'm thinking about extending it a bit more using the TimelineFX particle engine to get some nice particle effects. But for now it's back to They Come! A whole month passed and it feels like nothing happened! Although I played around with mbmFramework, some graphics tool (Real-Draw Pro), looked at Fruity Loops (FLStudio) and wasted time reading stuff here and there I didn't really progress with They Come. I started a little mini game which will be finished real soon (tm) to learn more about the mbmFramework. The game itself is already done, right now I'm fiddling around with creating graphics, adjusting menus and info screens and so on. But I hope to finish it this month! That's pretty much it except my pretty busy real life. I hope to show my mini game at the next web site update and then continue with They Come. So the logo design is finished and I'm very pleased with it! You can see a small version of it on the right. The logo design itself was done by Susan from Logolane. You can see their ebay offers here: http://shop.ebay.com/logolane/m.html?_nkw=&_armrs=1&_from=&_ipg=25. I can highly recommend their services to everyone who needs a logo for whatsoever purpose. On the game development side I managed to port the space nebula generation from the Source code pages from PlayBasic to BlitzMax. That was pretty easy and works like a charm. And it's much faster in BlitzMax compared to PlayBasic which is already a fast interpreted language. Instead I decided to get a new logo design for my web site. Over the next months I plan to transform this web site a bit. First it will feature the new logo and the starting page will be remade and feature the games I created and will create in the future. This blog will not disappear but it won't stay as the starting page - you will have to jump to it using the menu or you will have to add a direct link to it in your browser. Expect to see it here in the near future! Recently I had a look at matibee's framework mbmFramework for BlitzMax. It's a great framework that contains tons of stuff you'll require to give your games the finishing touch. 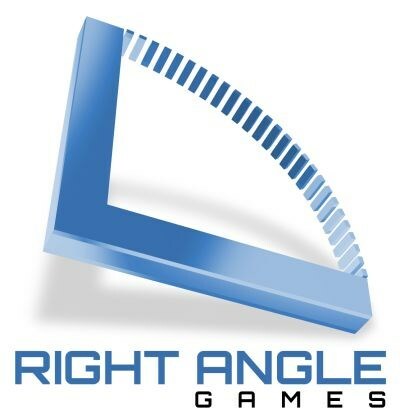 Best of all: this framework is free to use for non commercial games and you can buy a commercial license with all of the source code included! I am currently porting They Come over to this framework because it contains many features that I simply hadn't implemented yet and that I won't implement now but instead use this cool framework. The shape definitions can be named and categorized and I can have different shape definitions for each category. This will allow me to use different human space ship shapes on each game start! So I don't just have an endless amount of space ships for one shape but for many shapes! Endless multiplied by endless ships - muhahaha! Assigned screen shot proves it. The ships are scaled by factor 4, so in game they are much smaller. If they end up being too small I can increase the size of the shapes (and allow more details) or use the scaling factor as I did for this test screen shot. The used shape definitions will receive some fine tuning to produce nicer ships. Additionally I plan to play around with brightening and darkening the colors to get more than just the 3 defined colors per ship. Feel free to give some feedback! The last few days were not so busy regarding game development but I worked on stuff here, refactored code there and fixed other things in between. I really reworked the map generation algorithm and can now pretty surely guarantee the generation of a playable map. Additionally I'm "wasting" time browsing forums or the internet in general. Currently I'm watching the Assemblee competition over at Tigsource, I'm of course reading most of the stuff on the BlitzMax forums and over at the BlitzMonkeys forum. In general that's not this worth mentioning because a new bugfix release of TOWeb appears nearly once a month with bug fixes and enhancements. But this time I mention it because it's fixing a problem regarding the generated RSS feeds. I hope you all will get rid of those irritating numbers at the beginning of each topic. We'll see in a minute after publishing the site :LOL: Keep your fingers crossed! [Real life] Happy new 2010! So as usual I'm wishing a happy new year to all of you! The last year wasn't this great job wise but pretty good considering the rest of it. So I guess the new year can and will get better in certain areas! I hope it does the same for you! I don't know if you're up to resolutions - I pretty much laugh about them. I make up my personal resolutions whenever I think they are necessary! I don't have to wait until new year's eve or save them until then. Start your personal improvements whenever you are ready to do so! Having said this: A happy new year to all of you, health and fun and a wonderful year!